This tea press also serves like a thermos keeping your brewed tea hot for just over 2 hours. 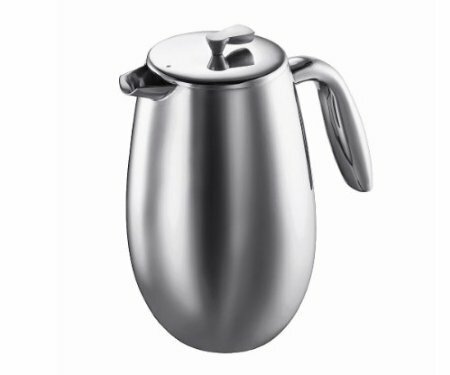 It can brew or hold 8 cups in its double-walled stainless steel structure. Its lid can be screwed on tight to keep the tea hot. The exterior looks modern with its polished stainless steel.